Conditions for Setting Up Financial lease Companies. Management of Leased Property. 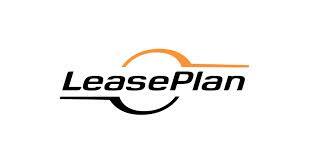 The leasing company shall set up separate accounts for leased property under sublease and entrusted b lease business. Cost Control for Leased-Back Property. In a sale-and- lease -back transaction, the acquisition cost for the leased property shall not exceed 20% of the actual value or the book value of the leased property. Any tax incentives and holidays applicable to manufacturers apply to the lessor or lessee that is eligible to record the leased property on its books as fixed assets for depreciation. Accelerated depreciation is permitted, provided that depreciation period is not shorter than three years. Special Reserve. Reserve for uncollectable accounts is permitted for the leasing companies. Source of Funding. A leasing company, after its establishment has been approved, may finance its operation through public equity offerings or issuance of corporate bonds. Special Treatment for Purchase and Leaseback. The sale/purchase in a purchase and leaseback transaction is not considered as a true purchase; therefore, relevant taxes and fees imposed on sales/purchases will not be imposed.